Organizations are becoming increasingly aware of the value of their business-critical information and the need to protect their information-related assets. IT security risk is the harm to a process or the related information resulting from some purposeful or accidental event that negatively impacts the process or the related information. The organization may face increasing costs as a result of Information Security breaches and regulatory non-compliance, including heavy fines, loss of customer confidence, loss of reputation, regulatory scrutiny, loss of market share and criminal/ civil litigation. Risk management is the process of understanding and responding to factors that may lead to a failure in the confidentiality, integrity or availability of an information system. An Information Security information management system is a proactive approach to continuously and effectively manage information security including people, infrastructure and businesses. The goal is to reduce risks to manageable level, while taking into perspective both business goals and customer expectations. 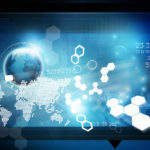 There are many tools and techniques available for managing organizational risks which focus on managing risks by information systems. The ISO 27001:2005 ISMS provides a framework for developing or enhancing organizationâ€™s information security needs and helps to proactively identify, manage and reduce the range of threats to which information is regularly subjected. 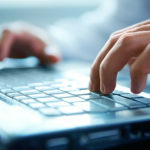 It enables an organization to develop and maintain an integrated system that assures effective accessibility, confidentiality, and integrity of written and electronic data. ISO 27001:2005 covers all types of organizations such as commercial enterprises, government agencies and not-for profit organizations. ISO 27001:2005 specifies the requirements for establishing, implementing, operating, monitoring, reviewing, maintaining and improving a documented Information Security Management System within the context of the organization’s overall business risks. It specifies requirements for the implementation of security controls customized to the needs of individual organizations or parts thereof. By implementing an ISO 27001:2005 ISMS an organization can be sure that they are measuring and managing their information security processes in a structured manner and that they can control their system to meet their business needs. 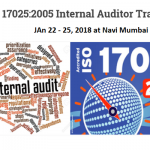 ISO 27001:2005 enhances the reputation of an organization, which can be of vital importance in the information fields and it shows that the organization demonstrates to interested parties (stakeholders) its commitment to adhere to established guidelines. If your organization’s sector is one in which information security is valued, then a certified ISMS can offer a differentiator between you and your competitors. 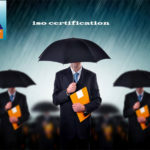 If you would like to learn more, contact us at info@lakshy.com or visit www.lakshy.com or call our 24 hours customer care +91 9821780035 to get your organization ISO 27001:2005 certified. 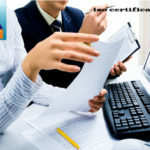 Tags:Consultants for ISO 27001:2005Consultants for ISO certification in IndiaDocumentation requirements for ISO 27001:2005How to get ISO 27001:2005 CertificateImplementation of ISO 27001:2005Information Security Management SystemISMSISO 27001:2005ISO 27001:2005 CertificationISO 27001:2005 TrainingISO Consultants in DubaiISO consultants in MumbaiKey elements of ISO 27001:2005UAE.